Quiche: A great make ahead option. I love it cold. So all it requires is opening the fridge, and cutting a slice. It’s also my fridge cleaning recipe; before I go shopping for the week I can pull all of last weeks leftover veggies and cooked proteins and add them to the quiche. Bagels and Lox: There’s a reason it’s such a popular breakfast. Pick up some smoked salmon at Trader Joes, a tub of cream cheese, and a pack of bagels and you’re set for all week. If you want to get fancy with your cream cheese, try this: Chop up ¼ cup fresh herbs and mix into the cream cheese with the juice of a lemon and a pinch of sea salt. Berries and Yogurt: In the midst of summer, this is the ultimate breakfast. A bowl of berries, a cup of yogurt on top, a drizzle of honey, and a few pistachios. Done! Healthy Rice Pudding: I love rice pudding for dessert, so I can up with a healthy version I can feel good about eating for breakfast too. I make this recipe in my instant-pot the night before, and again: Breakfast all week. Waffles: If you grab healthy frozen waffles, they are so easy to doctor up into fancy ones in the summertime. 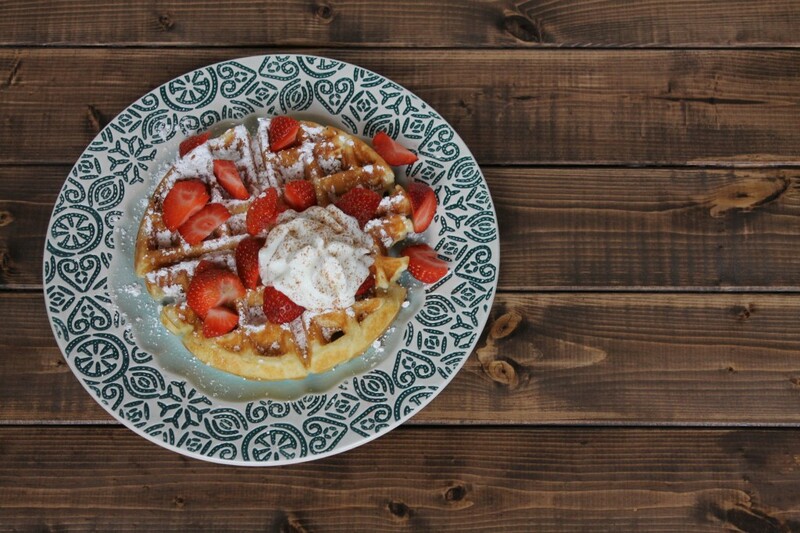 Add a little cream, powdered sugar and fresh fruit and it will feel like such a luxurious breakfast you’ll forget the waffle was once frozen.